Wisteria brachybotrys 'Showa Beni' is a non-evergreen, twining shrub with light green leaves turning yellow in the autumn. 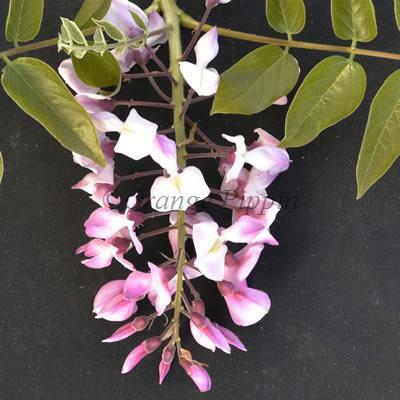 This strong growing, climbing plant produces beautifully scented, lilac-pink, pea-like flowers which hang in long sprays during late spring and early summer which can measure up to 15cm. These are followed by velvety, bean-like seedpods up to 20cm long. This fast growing climber is best grown against a wall side, trellis or informally through a large tree.